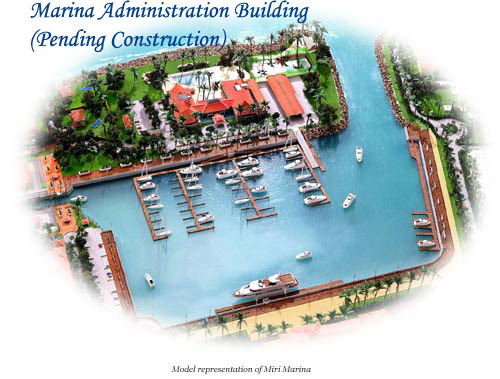 Miri Marina, top berthing facilities for yachts in Sarawak. On the coast of Sarawak, East Malaysia, the new Miri Marina offers unique and safe berthing for yachts of up to 115 feet. With modern facilities, security and prime location, the Miri Marina is an excellent hub for sailing in Southeast Asia. Located in Miri town, the Marina offers plenty of travelling opportunities to discover the wonders of Sarawak. It is an ideal base from which to explore the nearby Mulu, Niah and Lambir Falls National Parks.